The main problem encountered by farmers currently housing weanlings is the dreaded pneumonia. When an outbreak occurs, it has a huge financial effect, which sometimes goes undetected. Sure, we all see the cost in an expensive weanling bought in the mart dying due to the disease and the expensive drugs used to treat animals infected, but sometimes we don’t see the hidden costs due to lack of performance, chronically infected cattle pining and the labour costs. If a plan is put into place pre-housing, these risks can be reduced dramatically. Weanlings should be bought from as few sources of origin as possible and movements into the shed should be kept to a minimum. It can be a good idea to have a quarantine area in a separate air space to the main shed where the weanlings can be kept for two to three weeks before introduction to the main herd. The shed itself is critical. Overcrowding should be avoided. Each weanling should have 1.1m2 of space and adequate barrier space. The shed should be well ventilated. There should be at least a 0.6m3 air outlet space per animal and two to four times this for air inlet. It’s important that the air inlet is at a level above the height of the animal and that the animal doesn’t get wet. Stress should be kept to a minimum. Weaning outdoors over a gradual period of time, introduction to a creep feed and allowing weanlings to see and hear their mothers can greatly reduce the stress at weaning. It would also be advisable to avoid dehorning and castration at this time. Dosing for lungworm and gut worm is very important in pre-housed animals. It’s important that the cattle are housed with a healthy pair of lungs not damaged by worms. This can be achieved by getting veterinary input into a dosing programme for the herd. Faecal egg counts can be carried out to assess the liver fluke burden and treated accordingly. If there is a history of pneumonia in the herd or there are large numbers of weanlings in the shed, a vaccination programme is a must. The common viruses and bacteria that cause pneumonia such as IBR, RSV, PI3, BVD, Pasturella, Mannheimia and Histophilus can be controlled using vaccines and, with veterinary input, a suitable programme can be put in place to greatly reduce the risk of an outbreak. Any animals that show signs of pneumonia should be immediately removed to an isolation area that is in a separate air space to the main shed to try to reduce the risk of other animals getting sick. Can you explain to me what Oedema and Pyaemia is? It has come up twice on my report. Hello, thank you for your query. Pyaemia is an infection from a specific type of bacteria called pyogenic that gain to access the bloodstream and form abscess through the body. Generally everything starts from a suppurative focus sush as an injection or injury. Oedema and emanciation are to very similar pathology and often they are associated. They are generally into a very poor state and then usually end up with accumulation of liquid (oedema) and the jellification of the remnant body fat(emaciation). Carcasses in that condition are very poor and never go to rigor mortis. Hello, Can you inform me on the rules regarding medicine’s to livestock before slaughter. In particular variations and the number of days before slaughter I should stop. There is only one rule regarding medicine and livestock before slaughter which is: any animal that is intended for slaughter, the medicine withdraw period which is clearly instructed with the product, must be respected . Slaughtering an animal during the medication period makes the carcass and offal of that animal UNFIT for human consumption. Unfortunately, there is no fixed rule and withdrawal period varies from species to species and medicine to medicine. 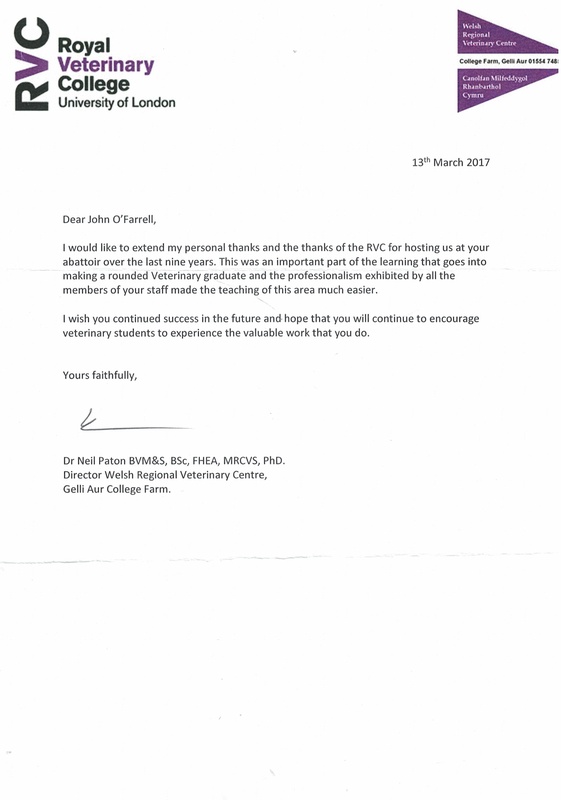 The only suggestion is that if you intend to slaughter the animal you should bring that to the attention of your own vet who is treating the animal, then he/she is able to take a more informed decision based on the welfare of the animal and your profit. 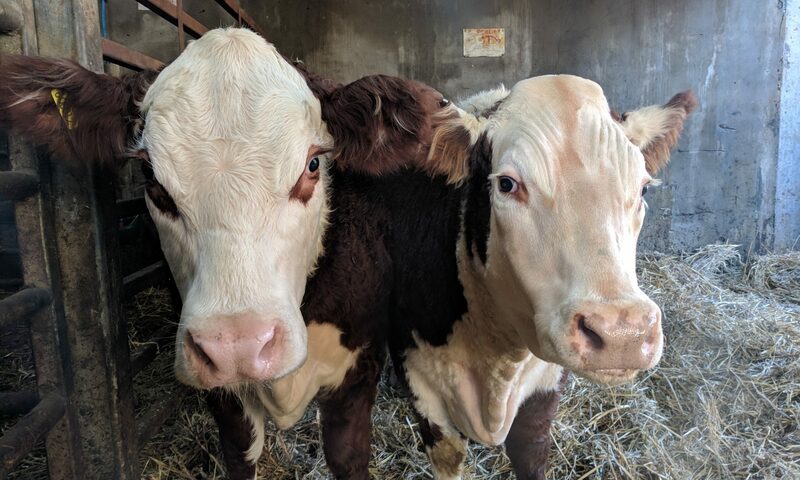 We sent a dozen Barren cows off to the Factory last week, and its come back saying one of them was condemned and disposed of because it had Septicemia. Any ideas on what causes this in the first place, how long the animal will live it, symptoms, and if possible, treatment? Septicaemia just indicates that the animal had a bacterial infection that had got into the blood stream. What the vet at the Factory probably found was lots of little microabscesses in the organs such as on the heart valves, in the liver and kidneys etc to indicate that bacteria has entered the bloodstream. the animal may not have appeared sick from the outside…but I wouldn’t want to go eating meat that had been supplied with blood+bacteria recently! Any bacteria infection in the body can enter the bloodstream. We are raising money for Morriston Pediatric Assessment Unit, becaus e they have taken care of Ruby Datson for her occipital lobe epilepsy also an operation recently she had on her throat. Ruby is now 5 years old and suffers from a condition called Occipital Lobe Epilepsy, a beautiful little with a very brave heart. Her parents Luke and Alina have been so touched by the care and attention their little daughter has been receiving we at Cig Calon Cymru have decided to set up a fund as a donation towards the Morriston Paediatric Assessment Unit. We are delighted to say we have a couple of donations already and so far, has reached 120. Is this Europe’s biggest dairy farm? The plans for the largest dairy farm have been met with opposition from local farmers. A new farm in Spain is currently being built and with 20,000 cows to be milked, it is said to be the biggest dairy farm across Europe. The farm spreads across 3,000ha of land and milk delivery is put at 580,000 litres. The co-operative Valle de Odieta is opening the farm and reports vary on the amount of money invested in the operation, with figures claimed to be between €50m and €95m. The dairy farm, which is located in the small village of Noviercas, in the Zaragoza region, will employ 300 staff alone. Opposition from farmers However, the plans for the operation have been met with opposition from farming organisations who say it will have a detrimental effect on other farmers in the area. Local politician Dabid Anaut said the new operation will encompass practically the number of cows already in the region, which is currently 25,000 and will occupy a quarter of fertile land in the area. According to reports by Spanish newspaper, El Economista, president of the farmers’ organisation Asaja Soria, Carmelo Gómez Sanz, welcomed the investment, regardless of opinions in the sector. “We would like that instead of a dairy of 20,000 cows, there would be 20 of 1,000, but reality is telling us that that is impossible. “We know that there is controversy, the sector may not like it whenever there is competition. But in Soria, there is nothing else, we have to reach everything that comes and this is an investment of €80m that will create jobs,” he added.